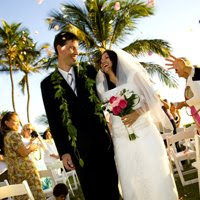 Maui Wedding Packages come in all different prices. Some companies promise everything for a ridiculously low price. We all know you get what you pay for and a wedding isn't any different. The low cost, "we-will-not-be-undersold" wedding planner will cut corners somewhere to keep the price down and that somewhere is generally the photography. Experienced professionals, in any field, aren't cheap. They have spent years honing their craft and are adept at delivering the goods. There's not much time at a Maui Sunset Wedding to capture all the emotion and beauty. Our professionals have the experience and talent to coordinate a successful sunset wedding photography session. Our Maui wedding Packages include state of the art digital flush mount collage albums, online galleries and DVD slideshows. We know you'll love the images we provide for you to remember a once in a lifetime day. Your Maui wedding album will be the most lasting legacy of your Maui wedding. A fine leather collage album printed on a stiff substrate bound in fine leather is one of the best ways to show friends and family the beautiful day you had in paradise. The Maui wedding photographers at Marry Me Maui have been creating these beautiful keepsakes for years. We have plenty of Maui wedding packages that include these albums. Even if you choose an ala carte package, don't forget to include one of these albums. Your children will be glad you did. Finally, our friends at Surefire Productions here in Maui have implemented live webcasting for our Maui weddings! This means your friends and family who couldn't make it out here can view the wedding live on their computers. Now you've got no reason to not come to Maui! Everyone can be part of your day. 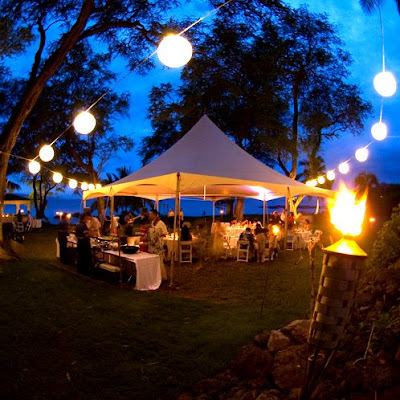 Be sure to check our site: Marry Me Maui Wedding Planners for complete details. We also can provide the best Maui wedding photographers to capture the day in beautiful dynamic imagery perfect for your Maui wedding album. The state of Hawaii has implemented a permit process for beach weddings. You may have heard this and are wondering how it affects your plans. The answer is "it doesn't". 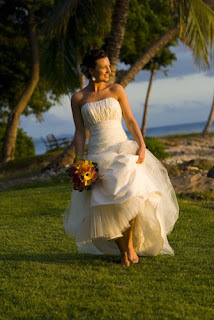 The wedding professionals on Maui and especially at Marry Me Maui are all over it. We have the forms, the insurance and the permits needed for a stress free wedding. We are even paying for it. No problems. All this ruling does is add an extra layer of protection to Maui weddings, knowing your planner is fully bonded and insured. The word for the day here in Maui is: E komo mai. Welcome.